You may have thought the Audi/BMW billboard chess game (war) was over. You'd be mistaken. 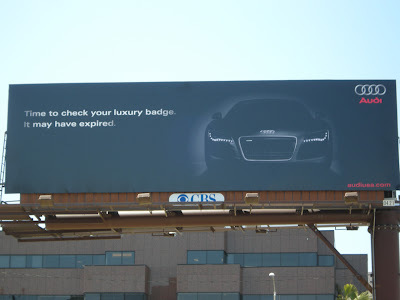 As a response to BMW's "checkmate" billboard, Audi recently launched a new ad titled "Time to check your luxury badge. It may have expired." Featuring the formidable Audi R8. Apparently BMW's ad space expired, as a Barney's advertisement now stands in it's place.